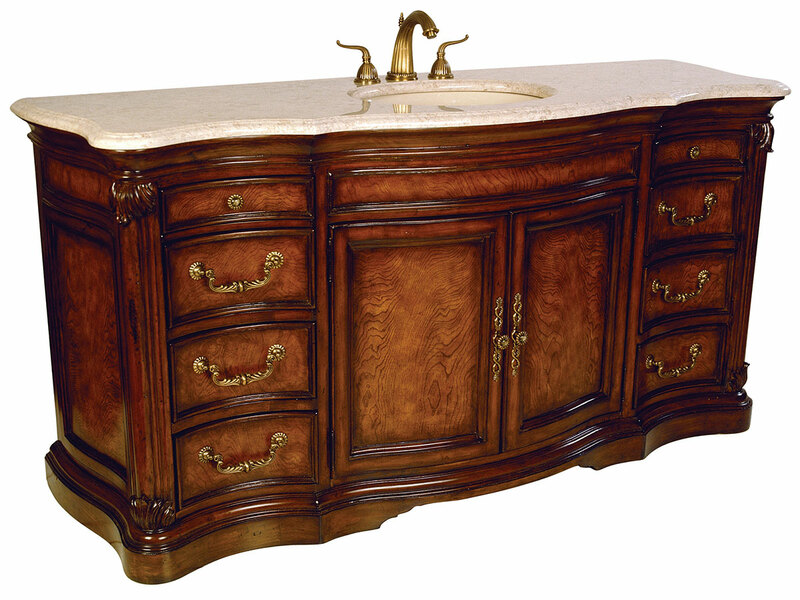 The 72" Marble Single Four Seasons Bathroom Vanity features a stunning color combination that gives it tons of character. It combines solid mahogany and an ash burl veneer finish. Not only does it look great, it has a lot of functionality with eight drawers and two doors. The marble top is smooth and creamy in color. Plenty of counter space is available as well. Whether you are shopping for the bathroom or home, this vanity is the complete package. Many faucet options are also available.